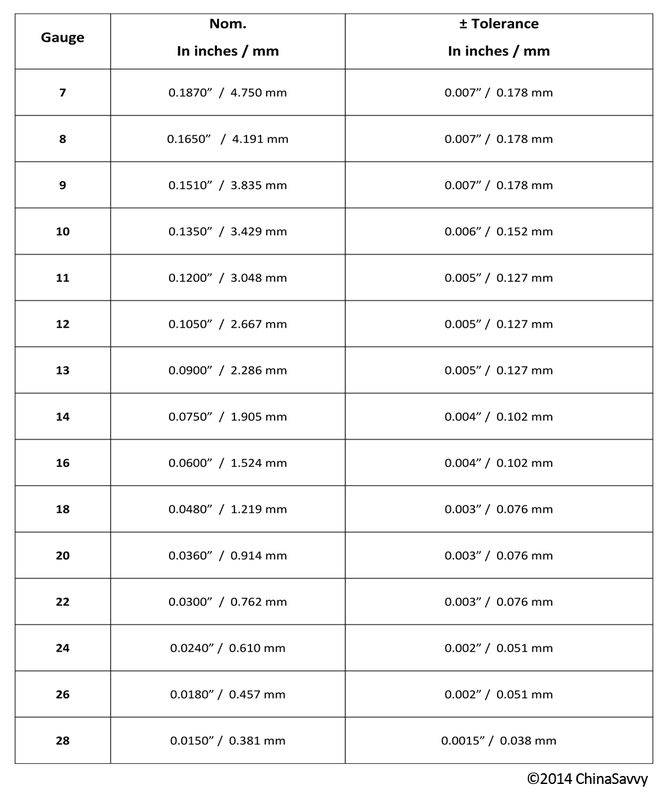 Note: You can click on the table to view a larger image. 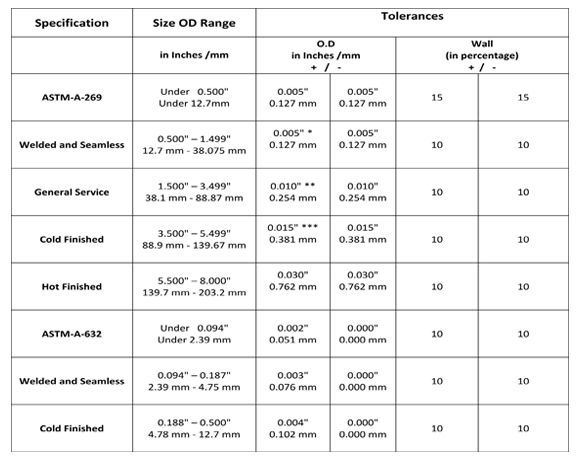 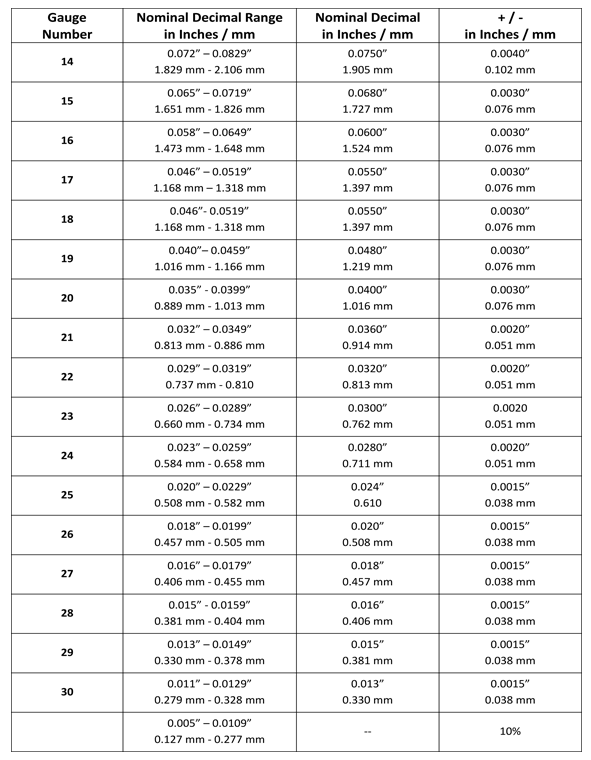 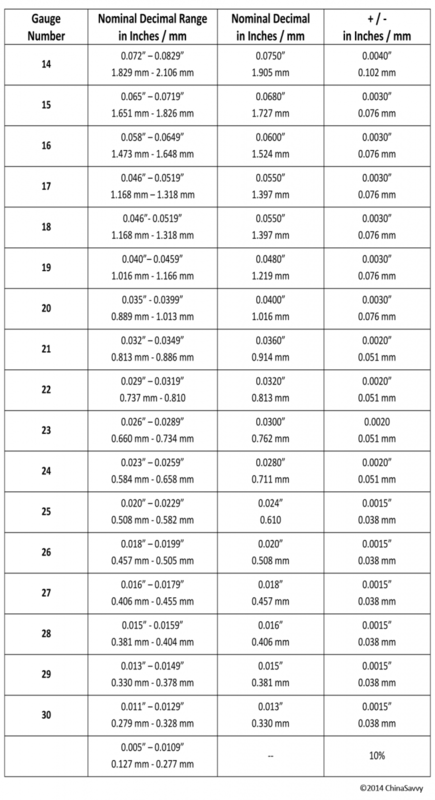 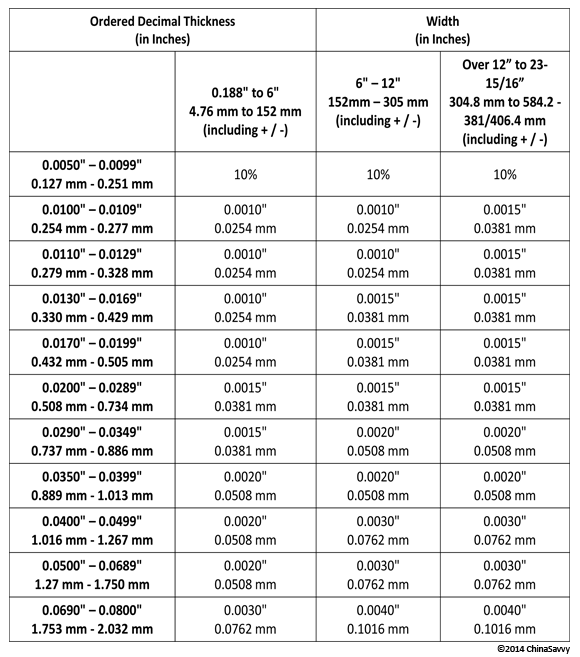 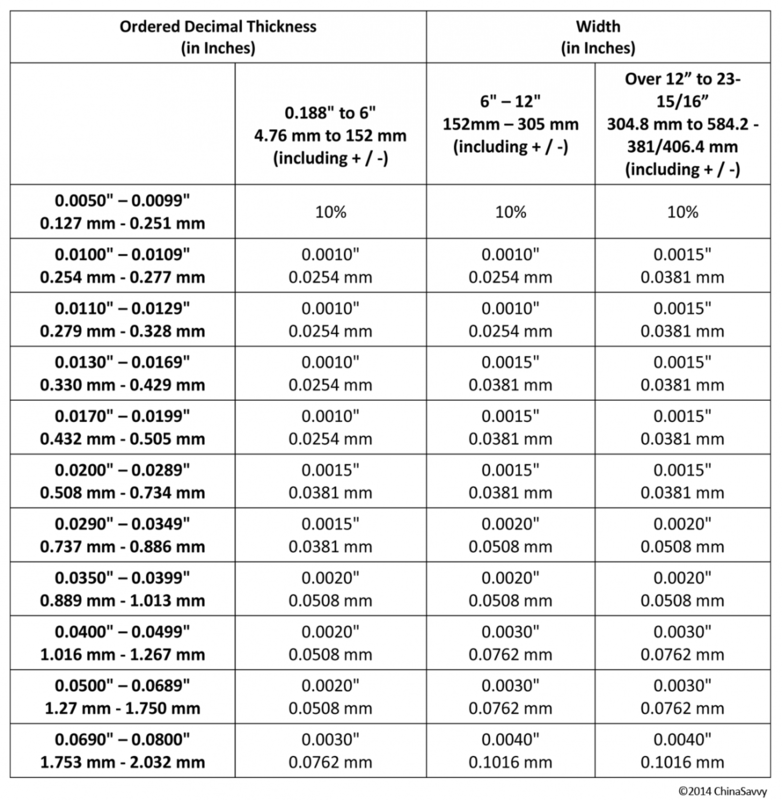 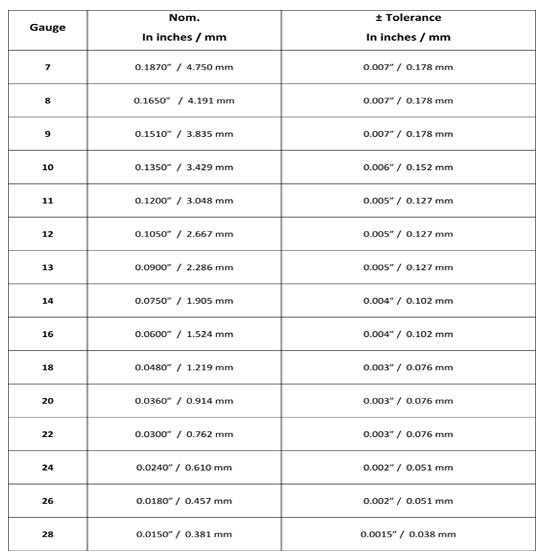 *Note: When a Wall is under 0.065 inches (1.651 mm), the OD Tolerance is ± 0.010 inches (± 0.254 mm). 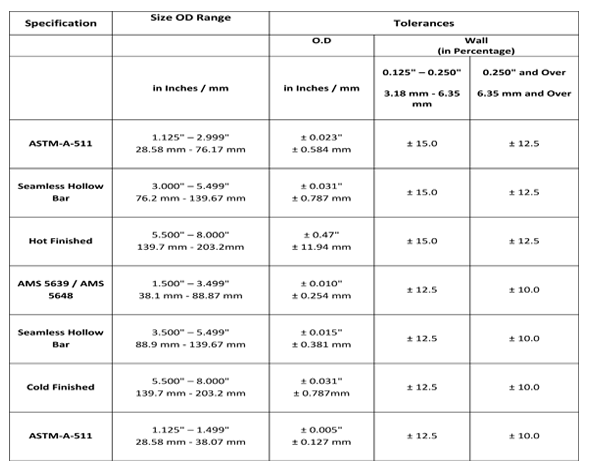 **Note: When a Wall is under 0.095 inches (2.413 mm), the OD Tolerance is ± 0.020 inches (± 0.508 mm). 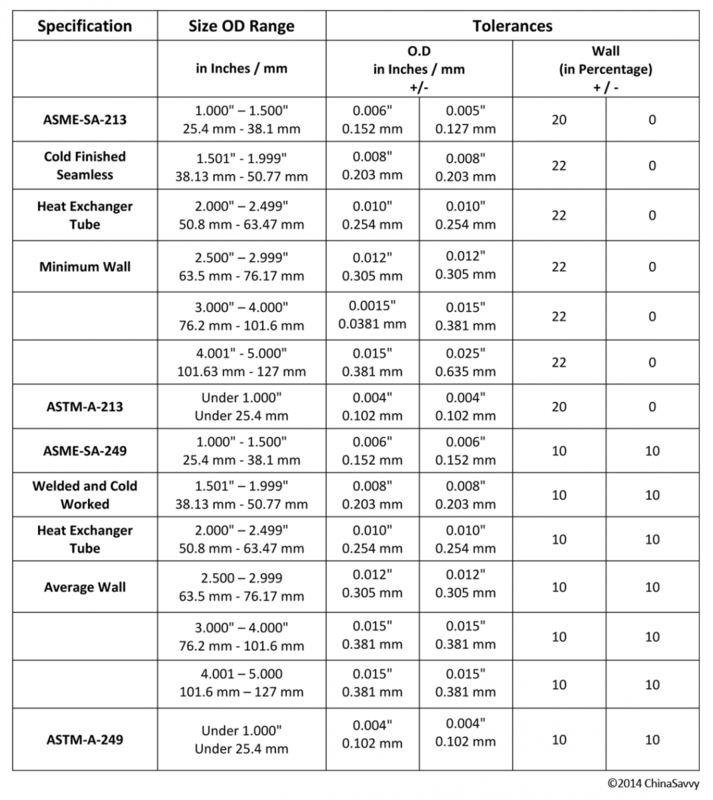 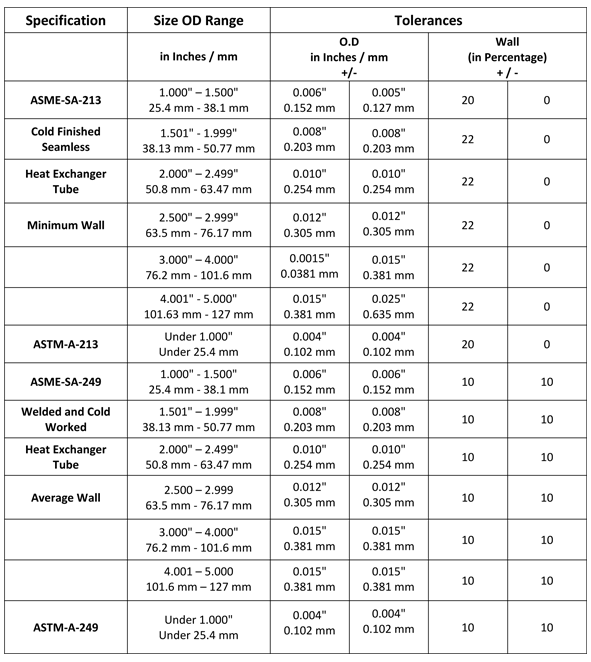 ***Note: When a Wall is under 0.150 inches (3.81 mm), the OD Tolerance is ± 0.030 inches (± 0.762 mm). 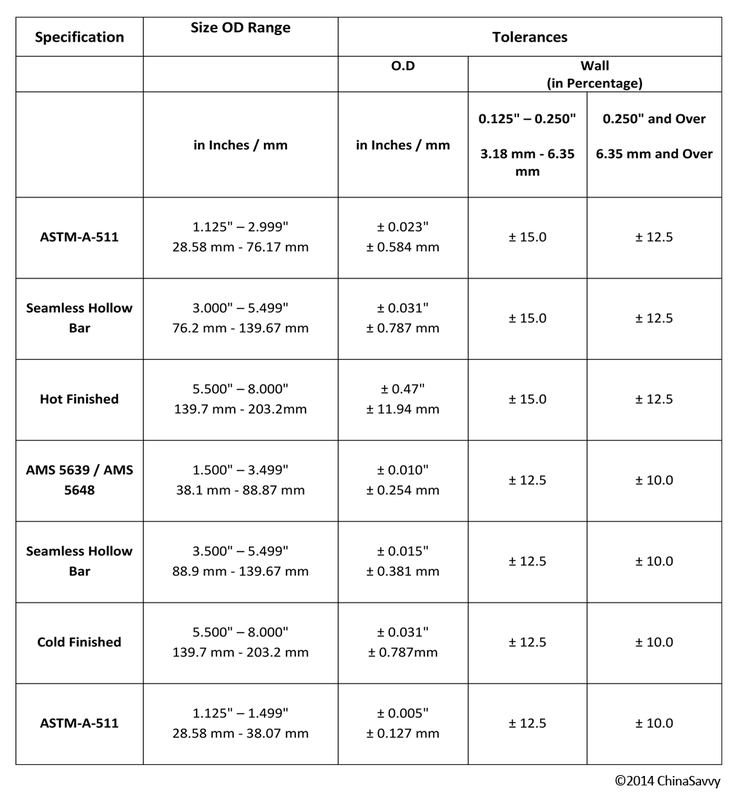 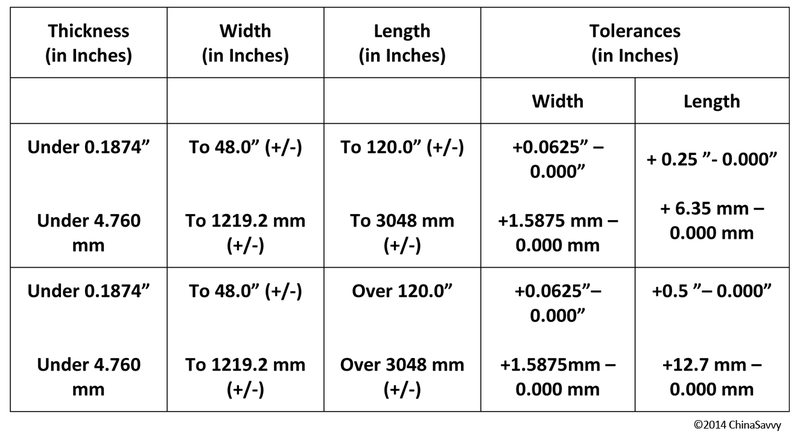 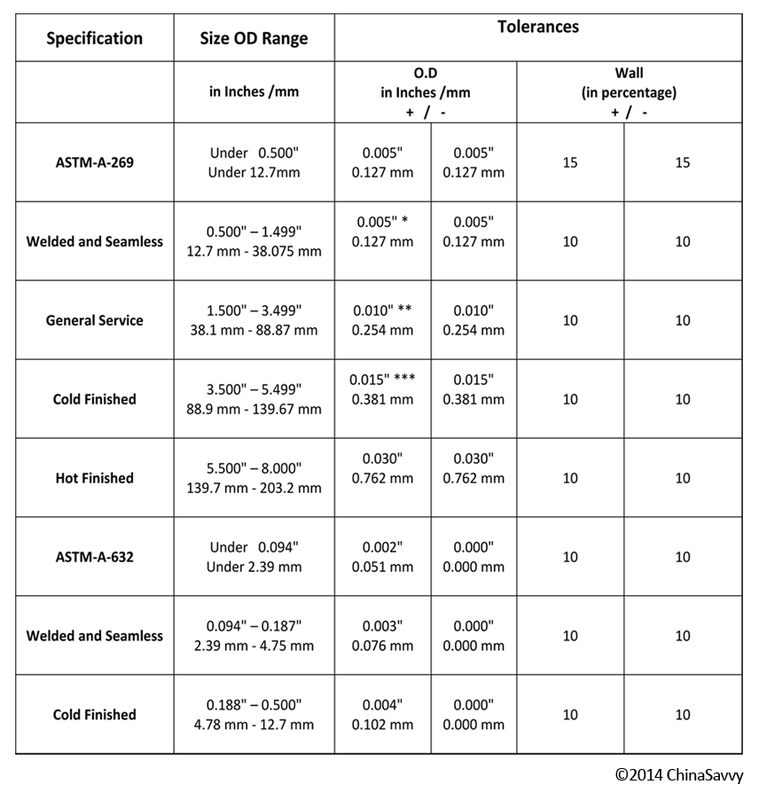 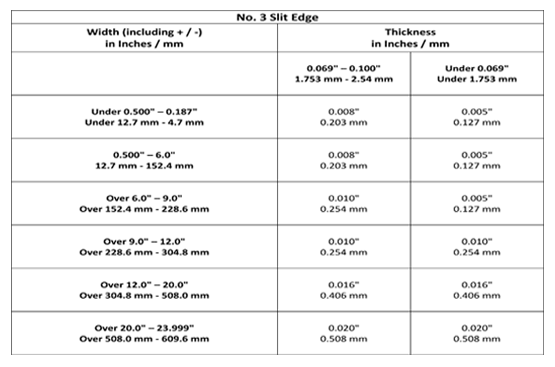 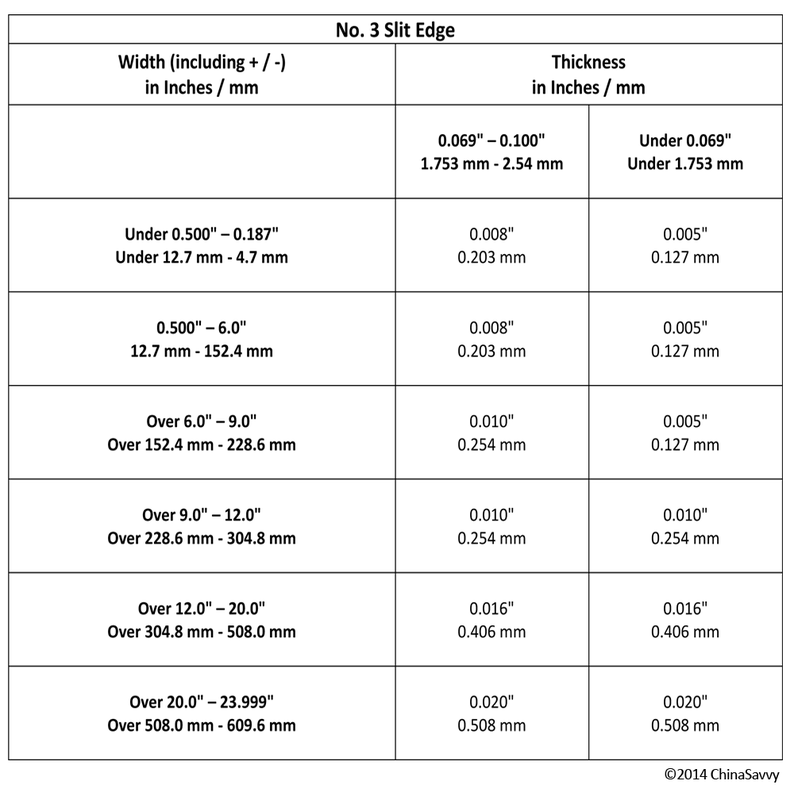 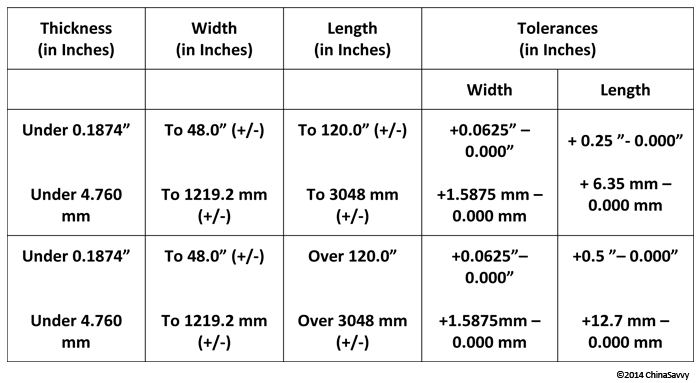 If you would like more information on our stainless steel tubing tolerances, please feel free to contact our team of specialists today.